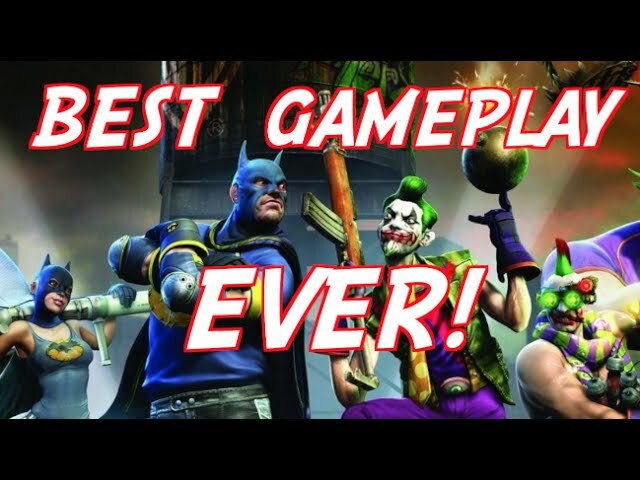 Gotham City Impostors is a first-person shooter multiplayer-only video game set in the universe of DC Comics’ Batman. Developed by Monolith Productions and published by Warner Bros. Interactive Entertainment, the downloadable game is played from the perspective of two teams each trying to kill the other: one with people dressed like Batman and the other with people dressed like his archenemy, The Joker. 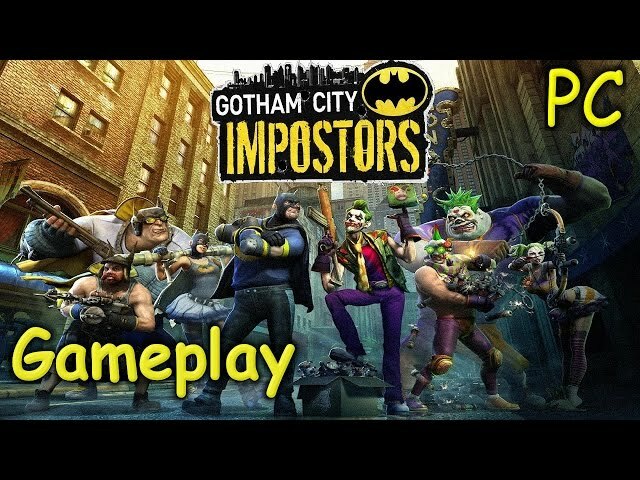 Gotham City Impostors is playable by at most twelve players simultaneously. Players can customize their costume, gadgets and other aspects of the game. It features a colorful and over-the-top visual style, including such settings as an amusement park. In addition to guns and knives, the players are able to use other gadgets such as grappling hooks, glider wings, roller skates and explosives. The game includes both conventional guns and outlandish weapons, including a grenade fashioned like a jack-in-the-box and a rocket launcher made of PVC piping. Why fight crime when you can kill it… Gotham City has gone insane! Batman is up to his pointy ears in unwanted “helpers” determined to dish out their own bloodthirsty brand of vigilante justice in his name (and image). Meanwhile, a small army of self-appointed junior Jokerz has turned the streets of Gotham into a barmy battlefield of bullets, bodies, and bear traps. More customization than you can shake a shotgun at… Packing more customization than you can shake a shotgun at, you get to choose the guns, gadgets and even the hairdos that fit your personality and play style. 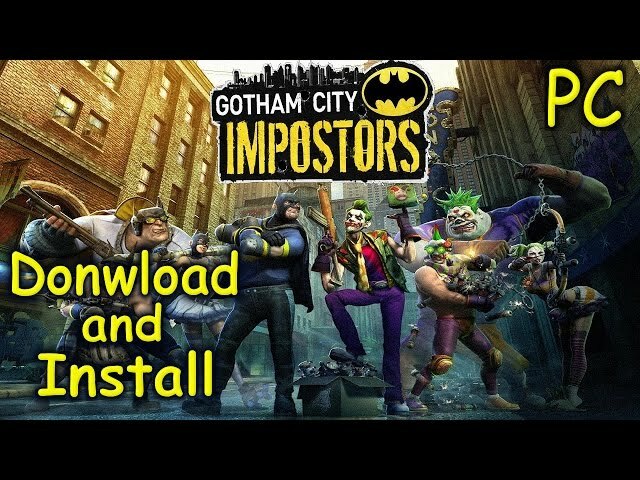 It doesn’t matter if you want to be a mighty muscleman on roller skates with a hunting bow or a lithe lassie packing a homebrew rocket launcher and glider wings, Gotham City Impostors does not have rigid character classes and lets you play the way you want. 1000 levels of player advancement overflowing with upgrades and unlocks… A robust level up system lets you unlock all the items required to make your impostor as crazy as you desire. Whether you prefer to develop your impostor by proving your prowess in solo challenges designed to test your skills and reflexes or by battling your way to the top of the scoreboard in several delightfully over-the-top multiplayer modes, there’s a surefire way for you to realize your preposterous potential!